Jeff Bishop leads the Wildcats JV to 4-3 victory. An impressive two-way performance from Jeff Bishop led the Wildcats JV to a 4-3 win Saturday over Beloit Memorial, as Bishop came up huge at the dish and on the mound. Bishop got on base three times in the game for the Wildcats JV. He tripled in the fourth inning. Bishop worked out of five difficult moments for the Wildcats JV. He pitched eight innings and allowed two earned runs on five hits. Bishop faced his toughest moment in the seventh inning. John Van Handel helped the Wildcats JV pull ahead for the duration in the eighth inning. Noah Anderson doubled to get on base in the eighth. He then went from second to third on a groundout by Luke Frahm. The Wildcats JV staved off Beloit Memorial as Beloit Memorial was unable to match the Wildcats JV down the stretch. Beloit Memorial scored two runs in the eighth on an RBI single by #11. Still, Beloit Memorial couldn’t draw even. The Wildcats JV broke a scoreless tie in the fourth inning, pushing across fourth. The Wildcats JV scored runs on an RBI single by Aaron Faga. The Wildcats JV drop high-scoring affair to Madison West, 14-13. Thirteen hits weren’t enough for the Wildcats JV as it lost a shootout, 14-13 in seven innings, to Madison West on Tuesday at Bowman Park. Madison West’s #8, #4, #2 and #14 combined for six hits and seven RBIs. The Wildcats JV jumped out to an early 2-0 lead in the top of the second. A single by Sam Mandarino, plating Aaron Faga and RJ Woppert started the inning off. Madison West went up for good in the seventh, scoring three runs on two triples. Jeff Bishop’s effort not enough in the Wildcats JV’s 7-6 loss. Jeff Bishop both hit and pitched well for the Wildcats JV, but it wasn’t enough as the Wildcats JV fell to Kaukauna 7-6 on Saturday. Bishop had two extra-base hits for the Wildcats JV. He doubled in the first and fifth innings and singled in the sixth inning. Bishop worked out of four difficult moments for the Wildcats JV. He pitched six innings and allowed one earned run on four hits. Bishop faced his trickiest spot in the fourth inning. Kaukauna was sparked by #5 and #6, who teamed up for three hits and four RBIs. The Wildcats JV jumped out to an early 1-0 lead in the top of the first. A double by Bishop, scoring Luke Frahm started the inning off. The Wildcats JV got two-run rallies in the fourth inning and the sixth. In the fourth, the Wildcats JV scored on a sacrifice fly by John Van Handel, scoring Jared Grassman and #10. It didn’t take long for Kaukauna to answer as it scored two runs of its own in the fifth. Kaukauna scored on an error and a steal of home by #6. Milton falls 10-2 at the hands of the Wildcats JV. The Wildcats JV beat Milton on Thursday 10-2 at Milton High School in seven innings. The Wildcats JV scored five runs in the sixth on the Wildcats JV scored in the sixth on a two-run single by Jeff Bishop, an RBI single by Aaron Faga, a sacrifice fly by Sam Mandarino, and an RBI single by Jake Walter. Bishop racked up three RBIs on three hits for the Wildcats JV. Charlie Mrkvicka kept contact to a minimum, striking out eight Milton batters. Mrkvicka allowed one earned run on three hits and one walk over five innings. The Wildcats JV jumped out to an early 1-0 lead in the top of the first. The Wildcats JV got things going when Noah Anderson singled. A stolen base then moved Anderson from first to second. Bishop singled, plating Anderson. The Wildcats JV went up for good in the second, scoring three runs on two singles and an RBI triple by Mandarino. 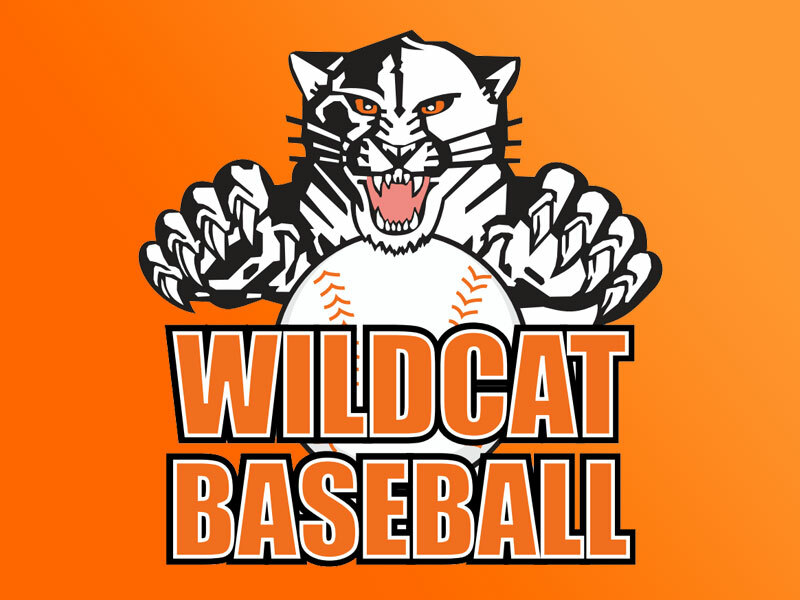 Verona Area High School (VAHS) Wildcats Baseball would like to welcome you to our website! Be sure to click around and check out all the features. We have updated schedules, rosters, media pages, practice and game calendars, and a whole lot more. 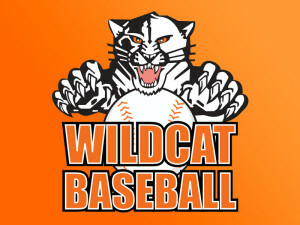 Stay connected with VAHS Wildcat Baseball!